Help save the.... show your non-violent support! The Alphington Paper Mill Action Group (APMAG), represents the broader community surrounding the AMCOR site in Alphington. APMAG will constructively influence local, state and federal governmen .. In a nutshell developers are seeking the zoning to be changed on the Australian Horizons site in Arthurton Road and Elm Street (between High Street and the train line) from industrial to mixed use. ..
Blue Wedges Coalition against the deepening and dredging of Port Phillip Bay, Melbourne, Victoria, Australia. A vision for our Bays, waterways and beaches The Blue Wedges, Port Phillip and Western .. BRAG (Incorporating Camberwell Station Action Group) Protecting what we love about our neighbourhood BRAG's plans and model for Camberwell Station Square were unveiled by Geoffrey Rush at the Ca .. Choose Cruelty Free (CCF) is an independant, non-profit organisation that surveys and accredits cruelty-free companies. Choose Cruelty Free actively promotes a cruelty-free lifestyle. ..
Darebin Appropriate Development Association�(DADA) is a group of concerned Darebin residents who feel that without proper checks and balances Darebin will lose it's eclectic soul. DADA is not agai ..
Darebin Climate Action Network holds meetings on the last Monday of each month at 7.30pm - contact us for details or see the newsletter tab on this website. Darebin Climate Action Network is an act ..
Darebin Bridge & Trail | When Darebin Bridge and extensions either side are complete, it will connect the Darebin Creek Trail to Melbourne's eastern cycling network, the Main Yarra Trail. The prop .. The overwhelming majority of Australians (85%) believe that terminally ill individuals should have a right to seek and obtain assistance to end their life with dignity. That right does not exist. .. The East Coburg Action Group are a group of residents who are not against a development, but are greatly concerned about the lack of consultation, the size of the development and the issues which will ..
OBJECTING TO VICROADS KILMORE-WALLAN BYPASS THROUGH MONUMENT HILL, KILMORE. SURVEY / PETITION TO OBJECT TO VICROADS' PROPOSAL FOR A KILMORE-WALLAN ROAD BYPASS THROUGH MONUMENT HILL PUBLIC LAND .. The heritage listed art deco Astor Theatre is a Melbourne icon, the last of our great single screen picture palaces. It has survived a World War, the advent of video, DVD, movies on demand and the mul ..
GM-Free Nillumbik is a group of local residents concerned about the introduction of Genetically Modified foods into the community after the recent decision by the Victorian State Government to lift th ..
We came across this helpful web site when researching a transport issue. Petitions grouped by country, displays an overview of each issue together with comments and Sign this Petition. At time ..
High School for Coburg is a group of concerned parents, families, teachers, residents, grandparents, Principals, organisations, politicians, associations and Councillors who want the re-instatement of ..
Keepemsafe is dedicated to the prevention of alcohol related harm in young people and aims to provide insight, education and a medium for engaging and connecting parents, community and government to t .. In 1887 Kew Cottages was established as a world leader in the provision of services to the intellectually disabled. Today, the Kew Cottages Coalition is fighting for an Intellectual Disability Centre ..
protecting city, country and coast marvellousmelbourne.org has been created by a group of volunteers to celebrate the best of Melbourne and to encourage people to be informed and get involved. T ..
Official Protest Against 2am Lockout... Spread the word!!! Who we are MelbourneLockedOut.com is a pressure group formed by the public in protest against the harmful 2am lockout policy. We are call ..
MyEPG is a public petition to have the laws changed to ensure that the TV program guide data is available to all without restraint. Currently it is not. Did you know? We have an Australian TV netw .. The Neighbourhood Justice Centre (NJC) is making a real difference to the lives of people in the City of Yarra. The NJC is the first of its kind in Australia. It brings together a multi-jurisdictio ..
No McDonald's in the Dandenong Ranges A number of groups are currently protesting against the building of a McDonald's in Tecoma. Groups include: -:- No Maccas in the Hills Facebook Page -:- N ..
Abolish the factory farming of dogs. Ban the sale of animals from pet shops/online. Insist the Government run a proper campaign on responsible animal care. It's time to end the shameful and cr .. Petition Online provides free hosting of public petitions for responsible public advocacy. Over 10 million signatures collected - thousands of active petitions! We give you the ancient methods .. The Plug The Pipe website will shortly go into temporary or permanent recess (2011) as the aims of the Plug the Pipe Campaign have largely been satisfied. We thank all those thousands of Australia .. The Protectors of Public Lannds (Victoria) is a coalition of community action groups and environmental organisations, whose charter is to protect and preserve significant public lands in public owners .. This is a website for residents who oppose a proposed development of the former Tip Top Bakery site at 170 Edward Street, Brunswick East. Proposed is a ten-level apartment complex, plus a six-leve ..
Resistance Centre on the 5th Floor, 407 Swanston Street is home to the Socialist Alliance. The Socialist Alliance is a broad socialist coalition. Anyone who agrees with the general approach of our ..
To protect, regenerate and conserve the Royal Park as a unique, indigenous, central city park for present and future generations, consistent with principles of the 1987 Royal Park Master Plan; and .. The Save Khyat's Hotel citizens' action group was formed to save, preserve and protect the iconic 19th century Khyat's Hotel from either a total demolition or a virtual demolition with only the fa�ade ..
Melbourne's Shrine of Remembrance is under threat from inappropriate development. Join our fight to preserve the integrity and amenity of our Shrine! Since its construction in 1928, the Shrine o ..
Save Our Suburbs (SOS) is a statewide lobby group for reform of town planning laws. Our primary role is to research planning issues and lobby government and other organizations (including councils) .. Port Phillip Bay is at risk. 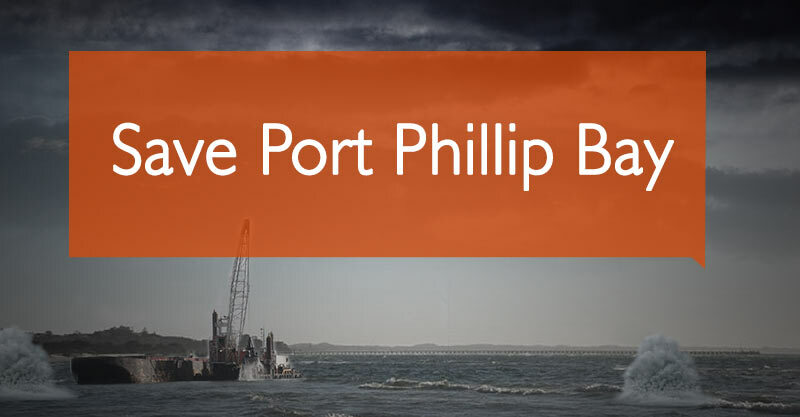 We need to save Port Phillip Bay from Labor's plans to blast the heads. Labor's blasting plan would mean: erosion of bay beaches threat to fragile marine ..
Save The Pines is a campaign to save the threatened woodlands and wetlands of Frankston and Langwarrin. The route through which the government plans to build the Frankston bypass is a critically im ..
Save Williamstown is a community campaign made up of residents and friends of Williamstown. We are fighting to save the heritage of our town, keep Williamstown safe, and protect jobs in the local ..
SmithStreet.org is a weblog for the communities that are drawn to the oldest 19th century streetscape in Victoria. SmithStreet.org is a public record of what has been, what is and what will become ..
Join the Socialist Alliance in fighting for a socialist Australia! The Socialist Alliance is an anti-capitalist party, formed in 2001 by eight socialist groups that saw an urgent need for greater ..
A trailblazing socialist feminist organization, Radical Women is the revolutionary wing of the women's movement and a strong feminist voice within the Left. Immersed in the daily fight against rac .. Step Back Think seeks to represent Melbourne's youth as a voice of unity against street violence. As a group of young people we recognise that we are the demographic responsible for the problem of .. The Tecoma Village Action Group (TVAG) is one of many Township Groups throughout the Dandenong Ranges working to make their township a better place to live and work. We are an incorporated not-for .. Port Phillip Council announced on Tuesday 8th December 2009 that had reached an agreement with developers and the St Kilda Triangle development would not proceed. St Kilda Triangle development proj .. The National Trust is carefully watching many developments in and around Melbourne... Give them your support! MELBOURNE'S HISTORIC INNER SUBURBS The National Trust is carefully watching the upcomi .. The 'We are All Boat People' campaign is concerned in the broadest sense with the mental health of Australia. In our analysis, what we are facing is not so much a refugee problem as a crisis of xenoph ..
Australia's campaign to stop violence against women White Ribbon is an organisation that works to prevent male violence against women. It is a male-led campaign that believes that most men are ..
Yarra Campaign Against the Tunnel (YCAT) is a community coalition of individuals & local groups concerned about the impact in the Yarra area of the proposed road tunnel linking the Eastern Freeway to .. Your Say Manningham is an exciting online consultation portal where you can voice your opinions, share ideas and provide feedback on issues and projects that are important to you. Your Say Manningh ..